Modular Homes of Texas builds all over the state of Texas. 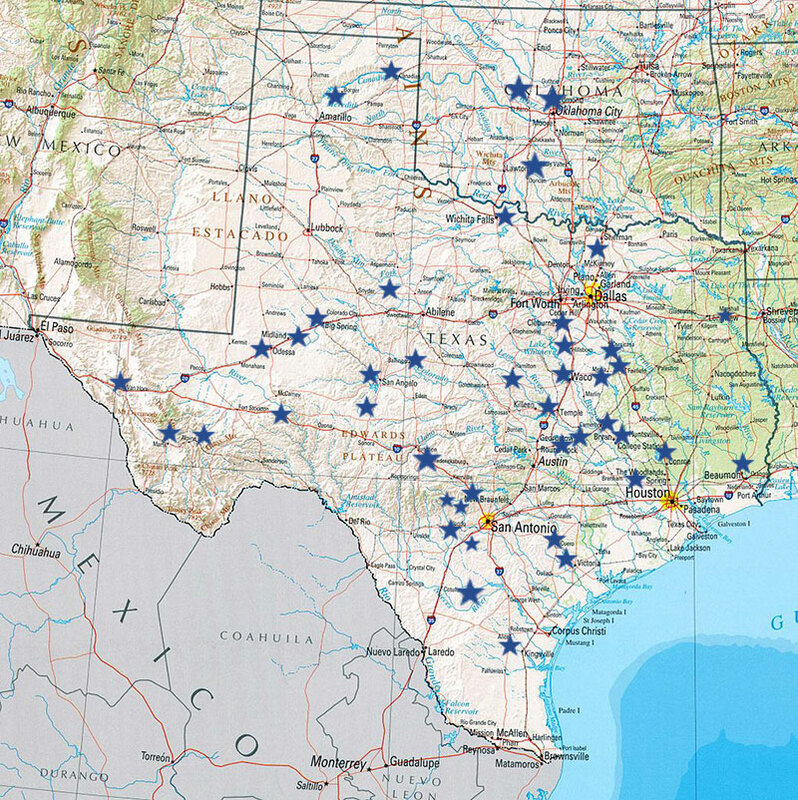 The map below indicates approximate locations of our customers' homes and the areas in Texas we've built. We also inspect your home site prior to building. We want to ensure we account for the many variables involved and to minimize unwanted surprises.